It's harder to pick the top 5 Films for the Dota 2 TI7 Contest so we picked the Top 3 ones. With 15 finalists, these are the Top Dota 2 films in our opinion. 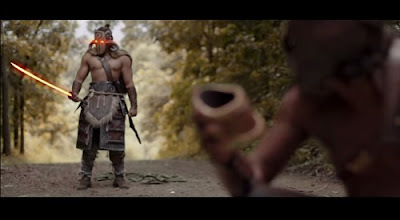 A live action film about Juggernaut's journey set 3 years after the war of the Ancients. 2nd - What does a hero truly fear? SFM Animation that plays around the concept of Bane's Nightmare ability. Light hearted short about one of DOTA 2's custom modes - Ability Draft. Looks like something out of Avatar : The Last Airbender - Agni Kai. Exploring the world of Dota2 with an appropriate background music. Creativity Award: Dr. Zeuss in: Oh, The People You'll Meet! A little musical about the Dota 2 players you'll meet.